Every day, with so many things happening, neither by invalidating nor proving right or wrong, and remaining a witness, feeling responsible, and feeling like I am involved in the cause in all matters on-board, is a unique experience. Where I do not know what drama or play is waiting for us to act on, to deal with an out of order situation, and having limited but powerful resources to encounter these issues, whatsoever challenges come in our ways, undoubtedly, the focus remains. The ultimate focus for me is to take every one in a single caravan to change the climate in this edition. For me, it is important to maintain the harmony at all levels having all team members, core exhibition groups and support staff works in one loop where integrity lies in the centre which enhances their work efficiency. In my words, I feel happy when I see communicators trying new approach and innovative ways of presenting content with appropriate stock of words, dialogues and applying sense of humor. They show presence of mind with factual detailed knowledge on topics that really creates a positive aura where not only do they enjoy but their experience reaches a new level where they cannot express their happiness by words. That can only be owned. I understood that when the communicators urged me to stand by their side for everything, it is not only their feelings, but their indirect love and care for me. Speaking on VIP’s part, it is something very difficult because it seems that most of the time they have been nicely conducted throughout the exhibition by the team, speaking good things about the project. It impresses me when they share their time on work done for societies’ benefits and development which creates a difference. In my view, their self expression speaks more than words. Interestingly, I found that all my teammates wanted to see me acting above all hurdles and ups & downs. That is my real energy source. Science express drives me through with all of this which remains the secret of my survival here. 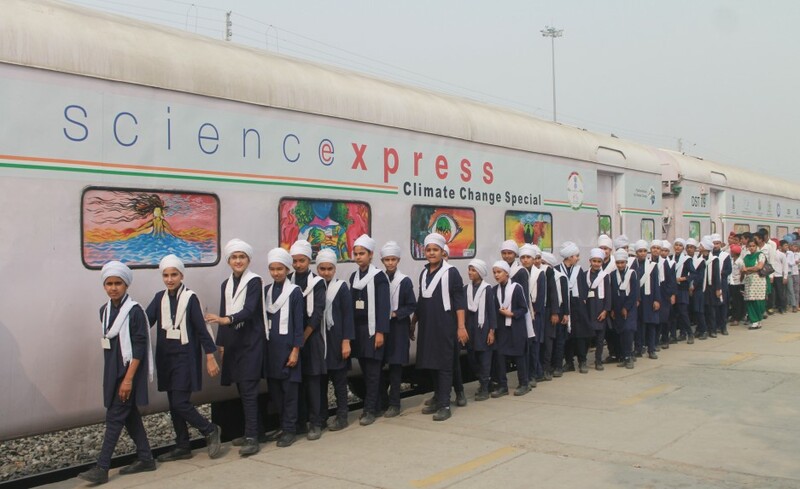 So one in all, Science Express has remained kind to me in all my avenues of learning. Raghav Pandya- As shared with the SECAS Blog Team: Nitin, Yasha and Ritu! Next > The First 40 hours travel..